George Wayne Allen passed away April 5th, 2019 in Oklahoma City at the age of 87. George was born May 24, 1931 in Seminole to George Washington Allen and Mattie Cain Allen. He attended New Model and Spaulding schools. George went to work at a young age and worked in the oilfield for most of his life. George married Mary Yancey June 24, 1953 in Seminole. George enjoyed mowing, going to livestock shows and sales, watching westerns, driving around and spending time with his family. George is survived by his wife Mary Allen of the home, children; Mike Presley of Wewoka, Jeannie and husband Eddie Jones of Broken Arrow, Donna Harris of Seminole, Pam Kinder of OKC, Paula Gamble of Wewoka,. George Allen Jr. and wife Teresa of Wewoka, Roy Allen of Holdenville, Angie Campbell of OKC, Tracy Allen of Wewoka, Melody and husband Bruce Finney of Cromwell, Raymond Ward and wife Stacy of Wewoka and grand daughter they raise as their own; Kolisha Hudgins and husband Steve of Shawnee, numerous grand and great grand children, and other relatives and friends. 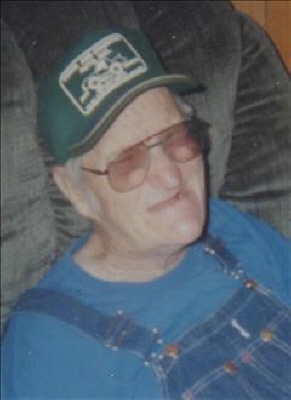 George is preceded in death by his parents, children; Lonnie Presley and Troy Allen, two grandchildren, siblings; Kenneth Allen , Billy Don Allen, Merle Allen, Jewel Allen and Helen Redwine. Graveside service will be 2:00 p.m. Wednesday April 10, 2019 at Little Cemetery with Pastors Jimmy and Nita Moreland officiating. To send flowers or a remembrance gift to the family of George Wayne Allen, please visit our Tribute Store. "Email Address" would like to share the life celebration of George Wayne Allen. Click on the "link" to go to share a favorite memory or leave a condolence message for the family.